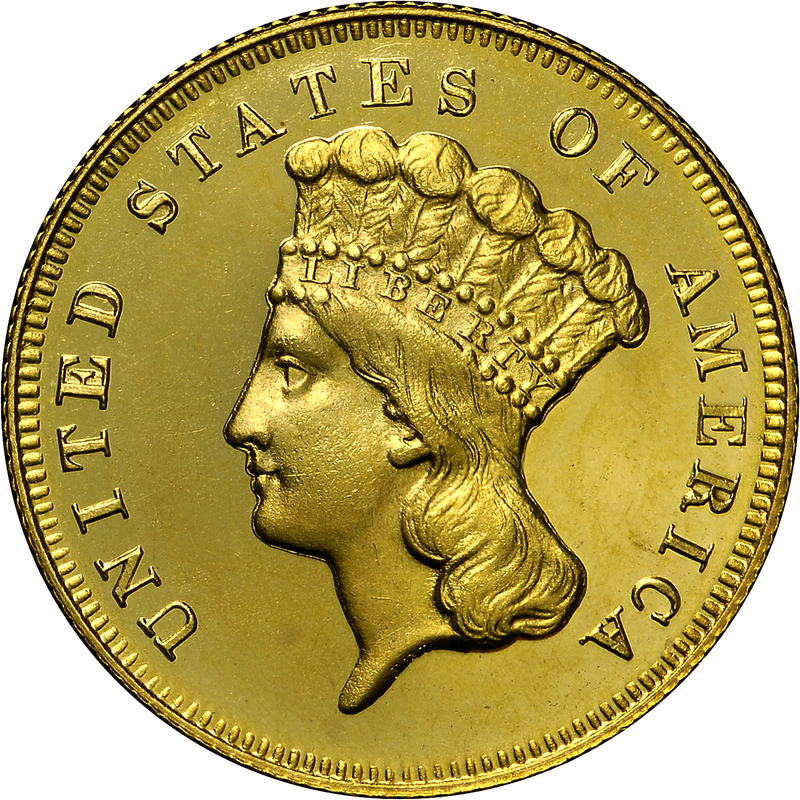 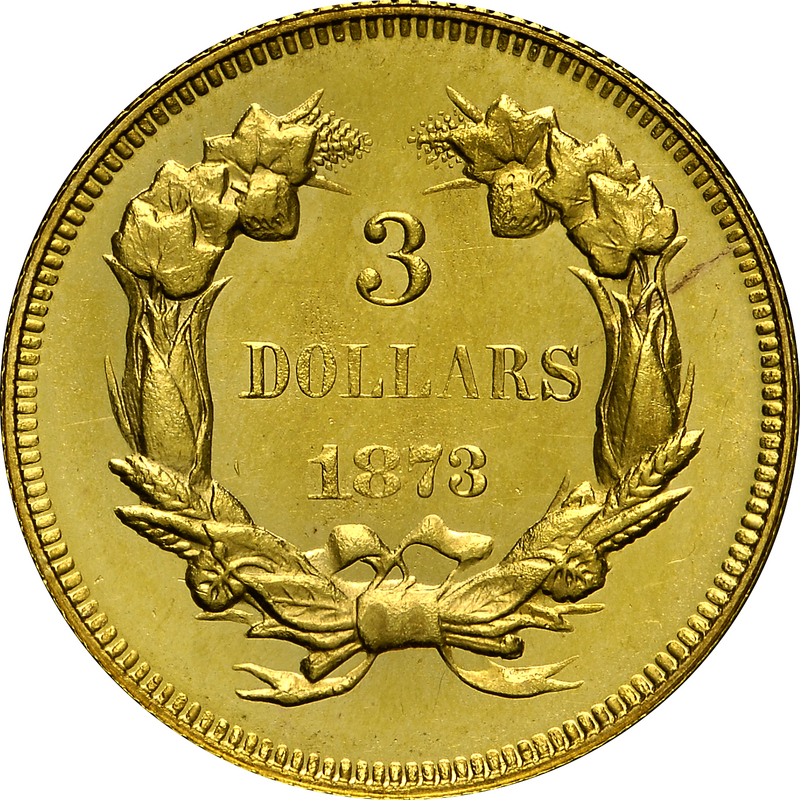 In Proof format like this, the 1873 Close 3 coins are generally categorized as Restrikes, produced at a later date. 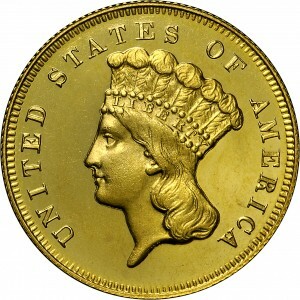 Walter Breen recorded in the ballpark of 30 to 50 Proofs surviving from these dies in his Encyclopedia of U.S. and Colonial Proof Coins and suggested that Proofs “are very rare” in his Complete Encyclopedia . 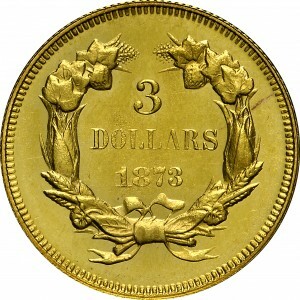 With Open 3 coins known only in Proof, this Close 3 variety garners attention from date collectors.